Popular and crazily affordable electronics ecommerce store Gearbest, has now come up with its brand new, flash sale bonanza ! The flash sale is already on, and features some of the heaviest possible discounts one can think of. This sale includes electronic items ranging from anything to a small smart pen to something as latest as a Xiaomi Mi5 ! You can also buy all sorts of remote control toys as a part of the sale. On a more special note, you can also enter a contest and become a part of the top brand sale, which not just lets you get huge discounts, but also lets you offer referral codes to your friends, thus giving them discounts as well ! Gearbest, if you are surprisingly unaware, is one of the largest ecommerce stores globally, serving its customers mainly with ‘Made In China’ goods at dirt-cheap, factory prices. You can find everything that China manufactures in electronics, right away on Gearbest. The company’s vision is simple: to become the premier online electronics seller by providing an unparalleled selection of the very best gadgets, an unbeatable shopping experience, prompt shipping and exceptional customer service that exceeds expectations. And it is actually achieving all that. The company regularly organises these flash sales, similar to the ones organised by Amazon, Alibaba, India’s Flipkart among others. However, the only real competition to Gearbest’s ‘Top Brand’ flash sale is actually Alibaba, largely because both the companies have enormous inventory of factory-priced, Chinese products. The Top Brand Sale is here, and you just can’t miss this ! 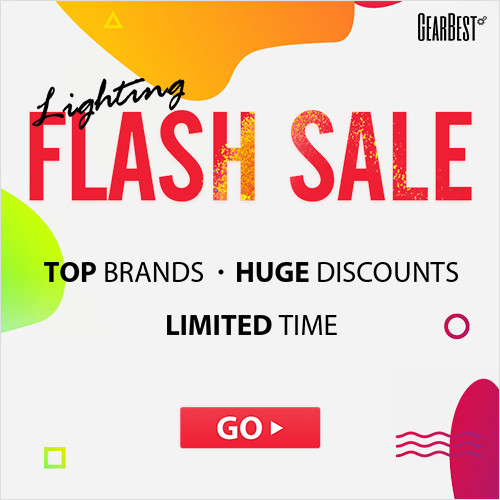 As usual, Gearbest is now back with its Top brand flash sale, where in the company is selling products form extremely notable and reputed Chinese brands like Xiaomi, Vernee, Anet, KZ, ilife, Mecool, Teclast, Elephone, etc. The sale lasts for a long 15 days, giving you ample time to choose form the best products and shop them instantly. Tell Gearbest which Brand product do you want to buy? Show your order number during this Brand flash sale promotion. Share to your social media profiles. The more you share, the more possibilities you have, for winning the Xiaomi Mi Pad3 tablet ! How to participate you ask ? Well, pretty simple. Here’s a link you can go to by directly clicking on it. Upon reaching the landing page just fill in the details, follow the above mentioned steps and you’re done ! 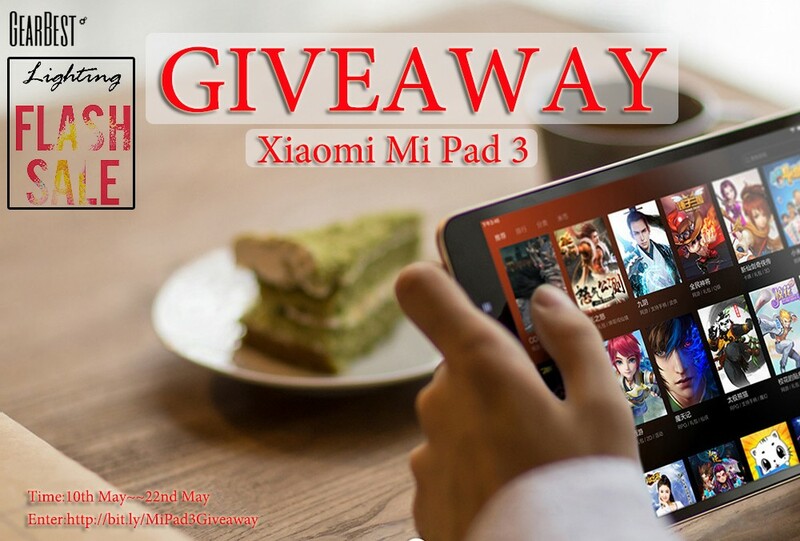 You are now among those, who have a chance to win a Xiaomi MiPad 3 tablet !